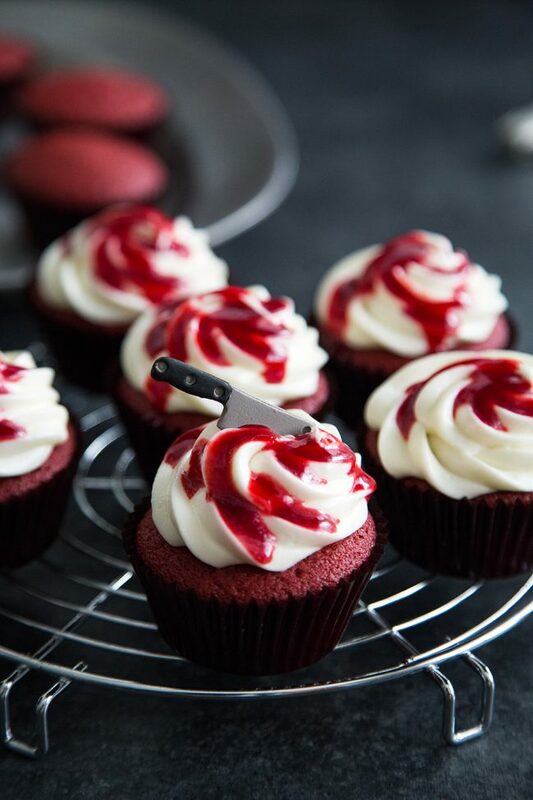 These Halloween Cupcakes are a must for a frightfully fun Halloween Party. 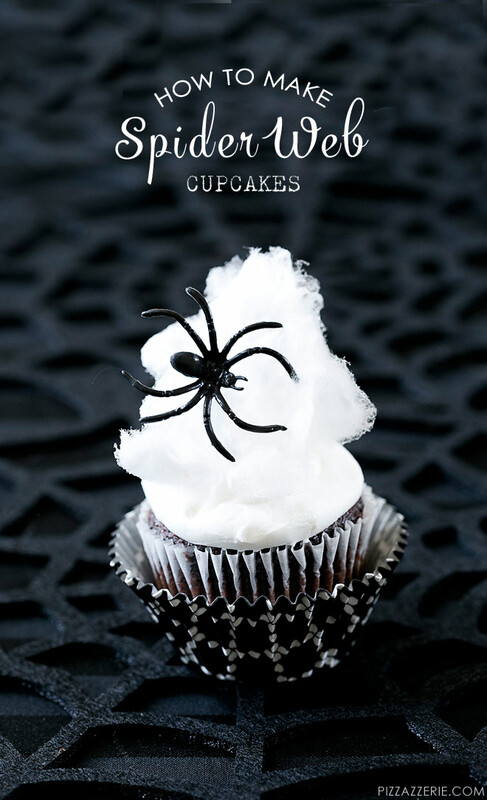 These spooky cupcake recipes & ideas make Halloween so much sweeter for you and your whole clan. 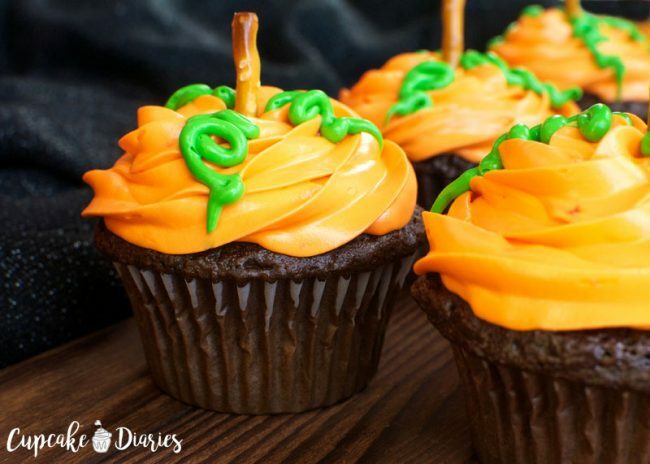 Bring all of these fun Halloween cupcakes to your next Halloween party table. 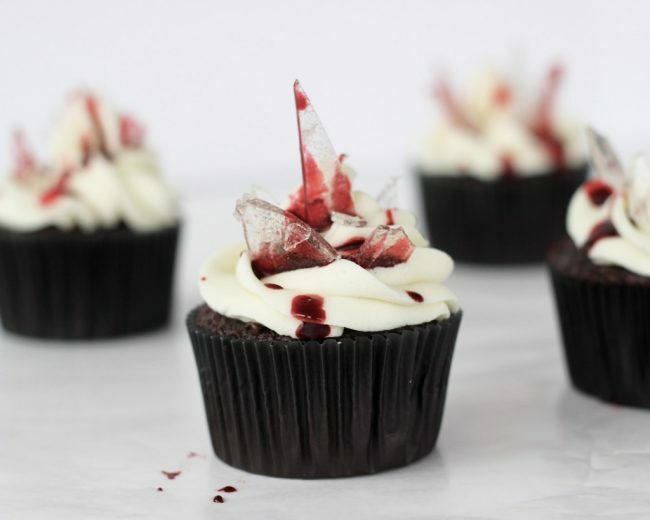 Lots of cute ideas that the adults and kids will love including creepy bloody cakes to witches, bats, pumpkins and more. 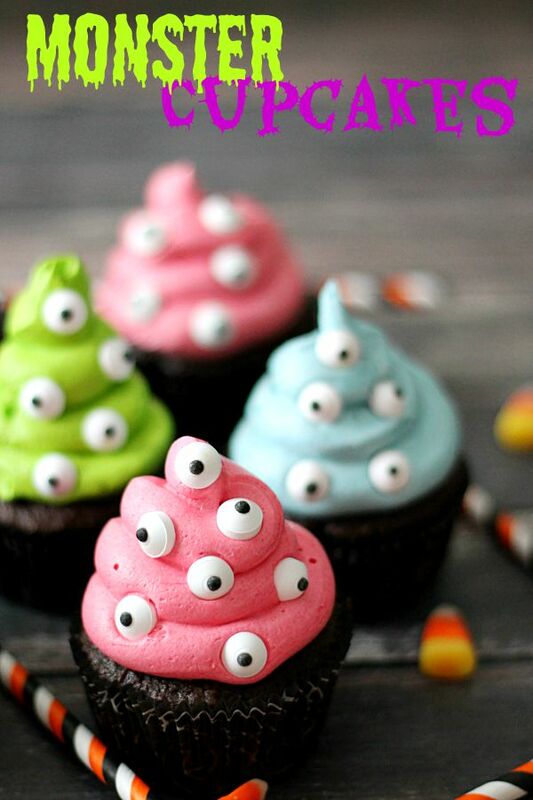 Let your kids get in on the decorating fun because making these treats are a good time to be had by all. 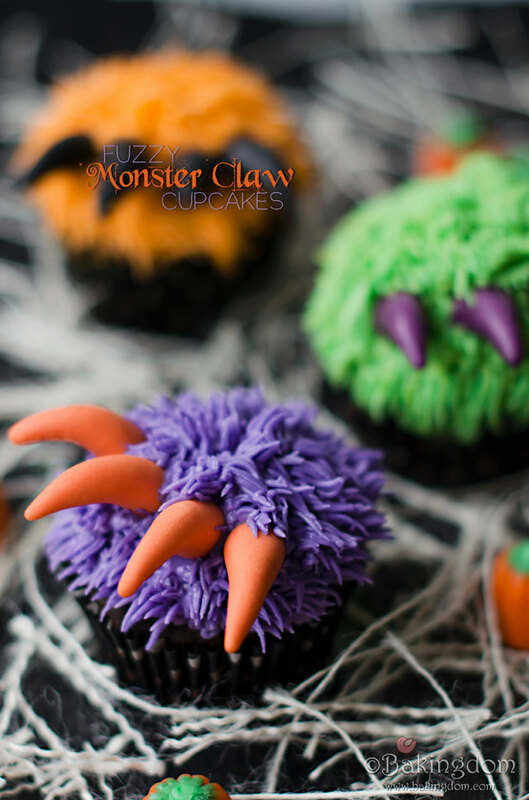 I love these little monster claw cupcakes. 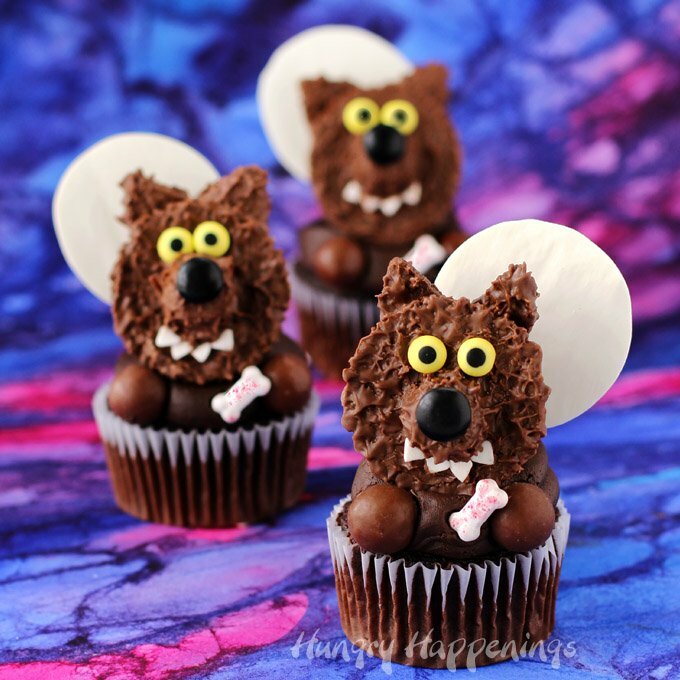 The perfect touch of not creepy just way cute for even the littlest monsters. 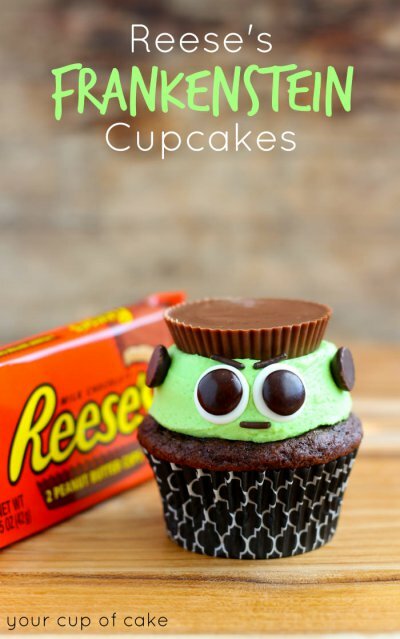 Speaking of making cupcakes from Reese’s check out how stinking cute Frankie is in cupcake form. Love it! 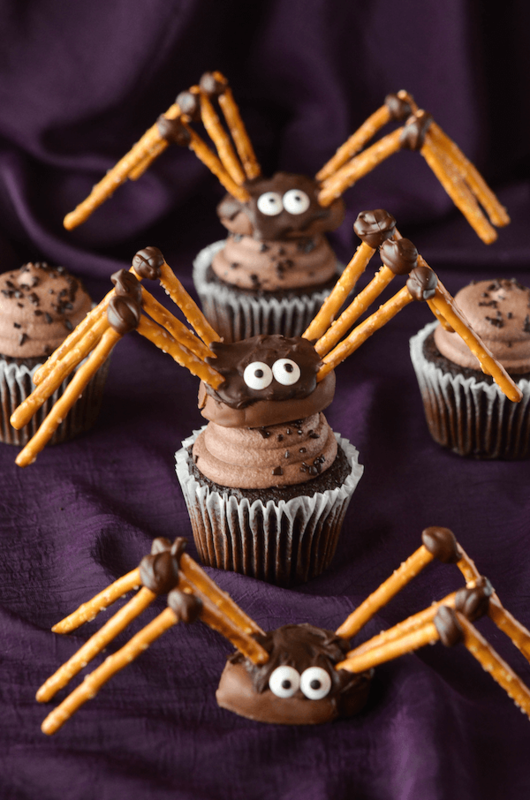 Even if they are missing 2 legs these spiders are the cutest sitting onto of the cupcakes. My daughter is being a witch this year and we are throwing a witch-themed Halloween party. 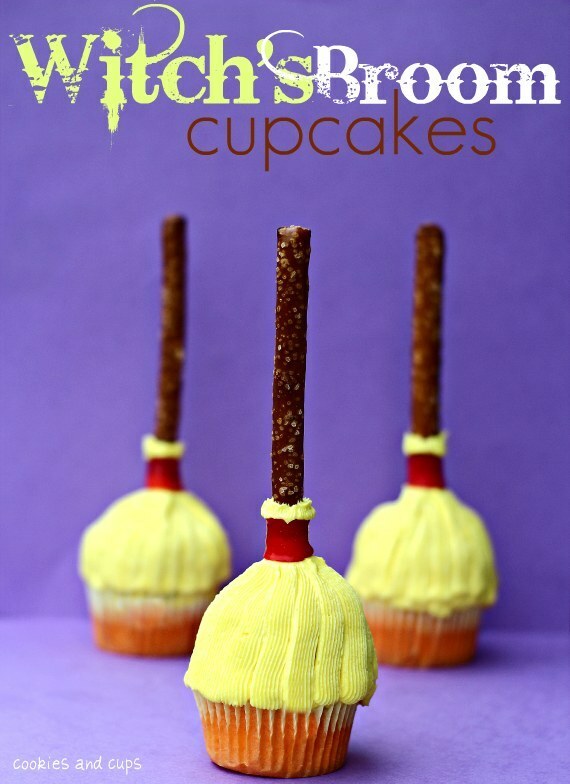 We are really loving this witches broom idea. 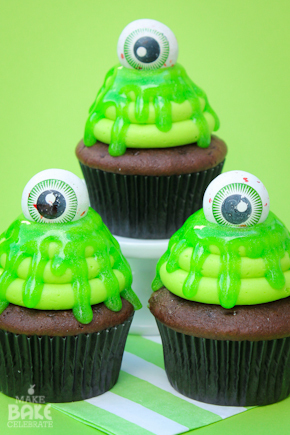 If you are stumped on time these monster cupcakes are too easy but still look absolutely amazing. You can’t have Halloween without a little gore right? 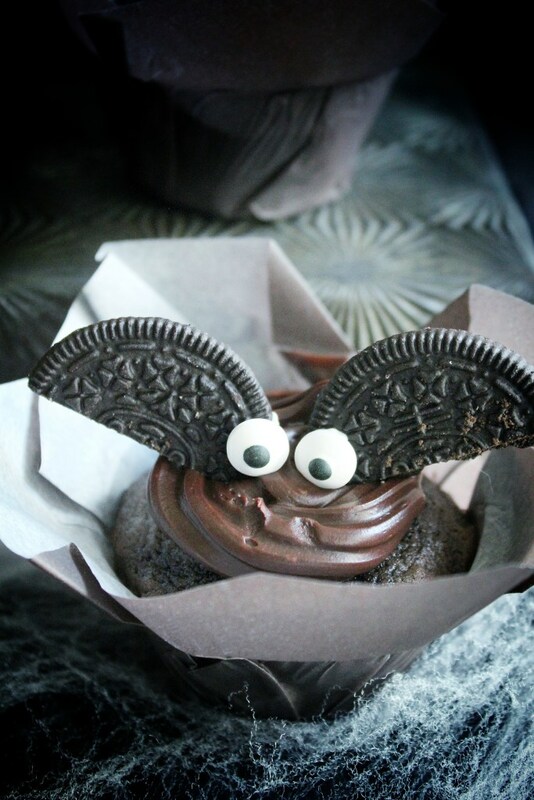 Don’t these just drive you batty? Haha! 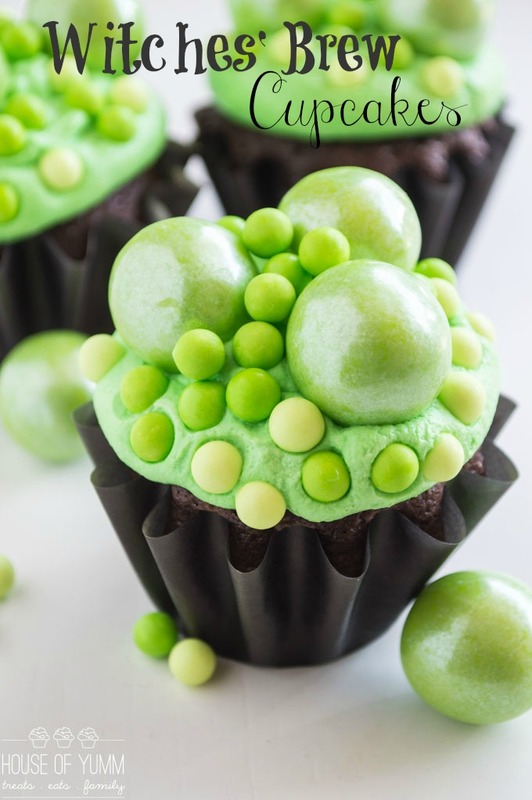 Another incredibly easy cupcake to throw together, even if you are doing it last minute. 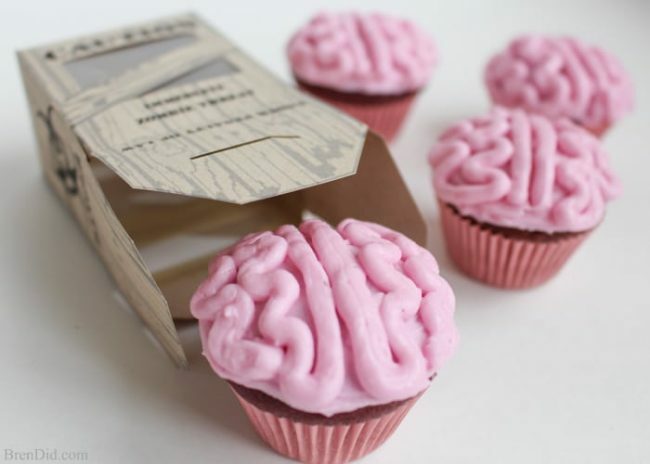 These are also allergen free. I mean, what kid wouldn’t love this? 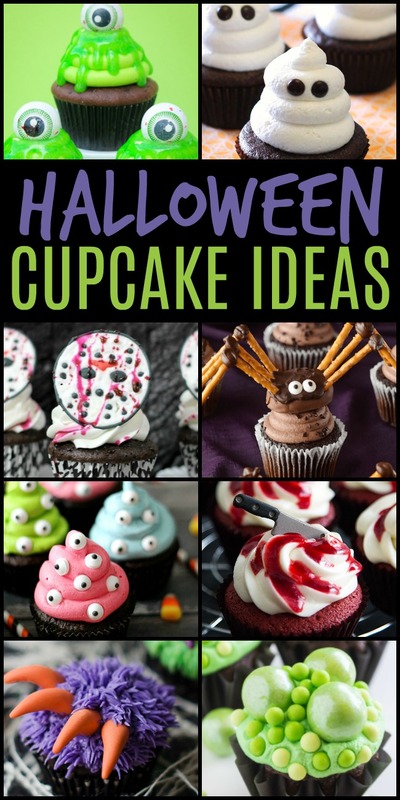 Back to another one great for an adult or even teenage Halloween party. 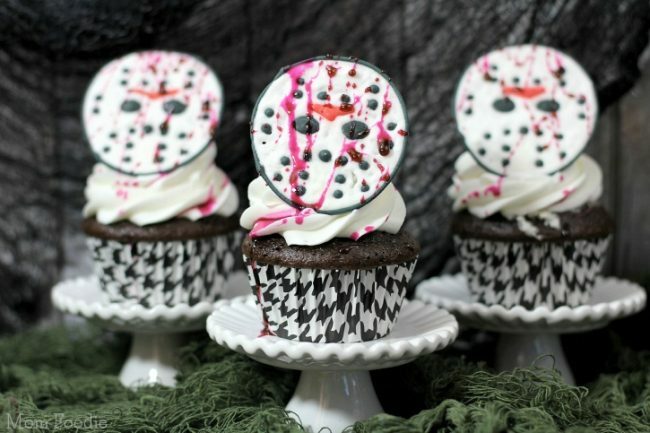 Even better, Friday the 13th is actually legit this year. Lastly, but certainly not least. 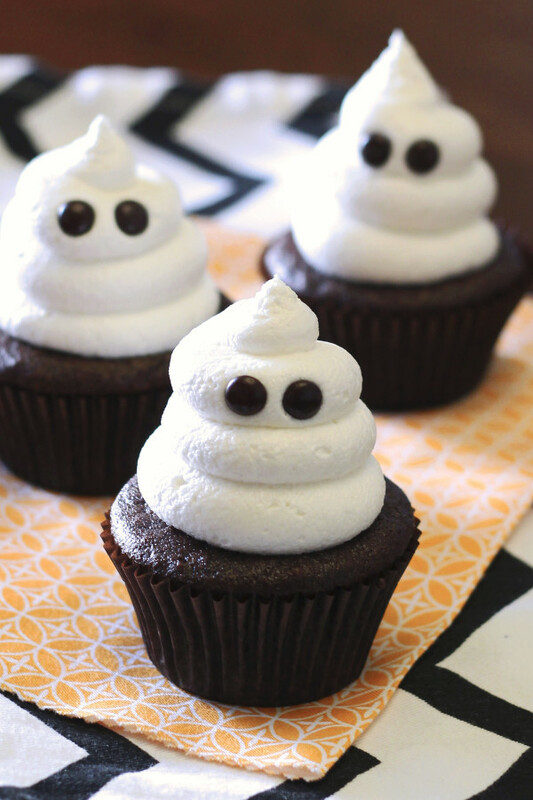 As I said, we are doing a witch-themed Halloween party this year and we really love this melted witch. 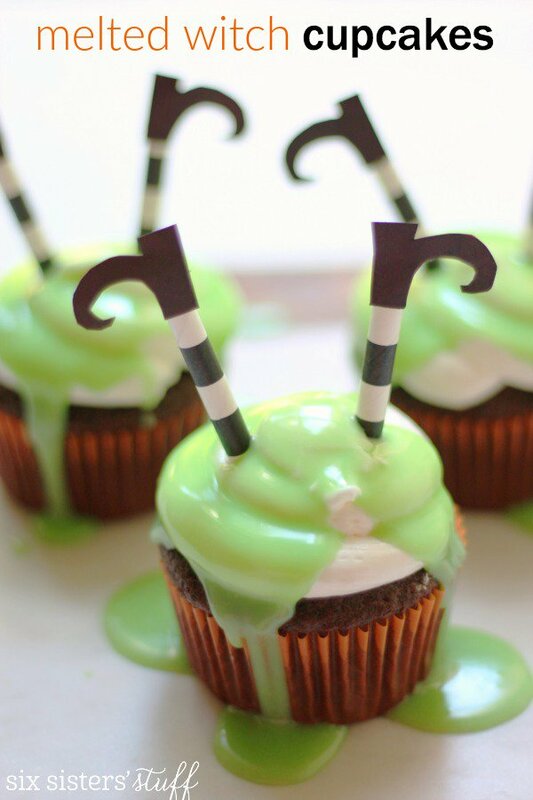 Even great for a Wizard of Oz party too.